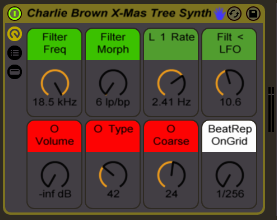 Free Ableton Live Instrument Racks created from a Charlie Brown Christmas Tree Snow Globe! Merry Christmas all! 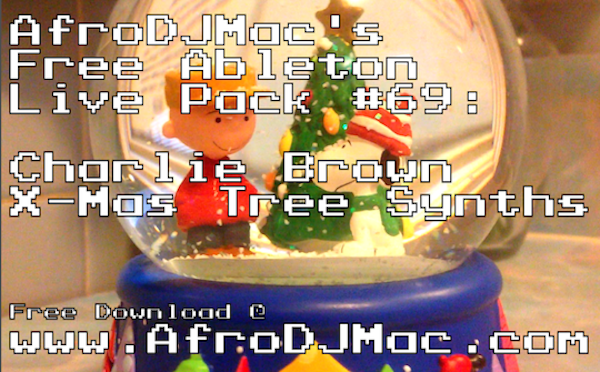 AfroDJMac here with a special gift to help you celebrate the holiday season. I'm sure the peaceful sounds of a music box brings many of us back to our childhood. Turns out the soft and soothing chimes also make for some interesting Ableton Live instruments! Saturday I was a Christmas party where I found a beautiful Charlie Brown Christmassnow globe. I snuck off to a quiet portion of the house and sampled it on my iPhone. 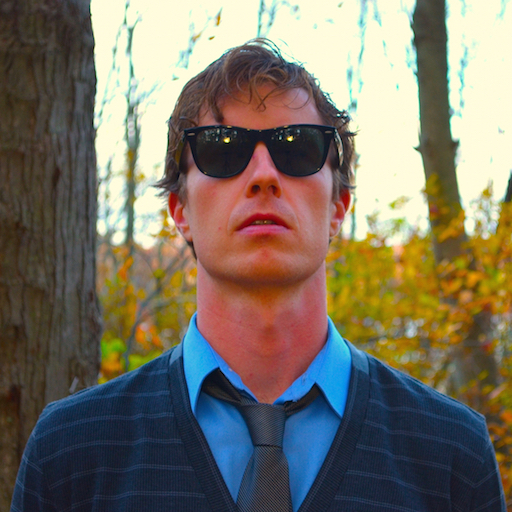 From there, I created the 3 Ableton Live instrument racks I am now sharing with you. I think they all have a lot of character and organic movement to them, with the combination of the plucked notes mixed with the cranking mechanism inside the globe. The first synth is the most true to the actual snow globe. It features the characteristic music box chimes spread out across the musical keyboard. I've thrown in a Morph filter with LFO controls. I've also made use of Sampler's FM Oscillation , which really distorts the sound. As a final touch, I set up a dual beat repeat rack. This knob will adjust two separate beat repeats, one panned hard left and the other hard right. It's great for some glitch sounds and added space. The second synth is nearly set up just like the first synth, with one major exception. The sample is looped. This instrument is better for creating chords and pads. The sample plays, then loops in reverse, and then forwards. The sound is a lively and interesting instrument with tons of character. 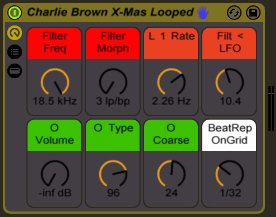 The third of the trilogy makes use of the great looping features in Ableton's Simpler instrument. For this instrument you have real time control over the sample's loop points. 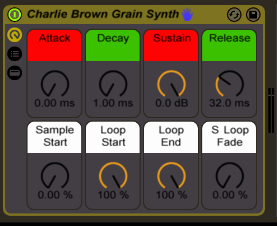 By playing around with the sample's looping parameters, you can get anything from a smooth pad to a glitched out grain synthesizer sound. It's very powerful, and capable of a world of sonic potential. Video Tutorial and Free Download! Here's a video that gives a look at the original snow globe and explains how the different instruments work. Big thanks to Legendary Realms Terrain for allowing me to sample this beautiful Christmas ornament! If you are a Dungeons and Dragons fan, or a gamer, please check them out, they have amazing stuff! Thanks for stopping by and supporting! Merry Christmas to all and to all a good night! We survived the end of the world! 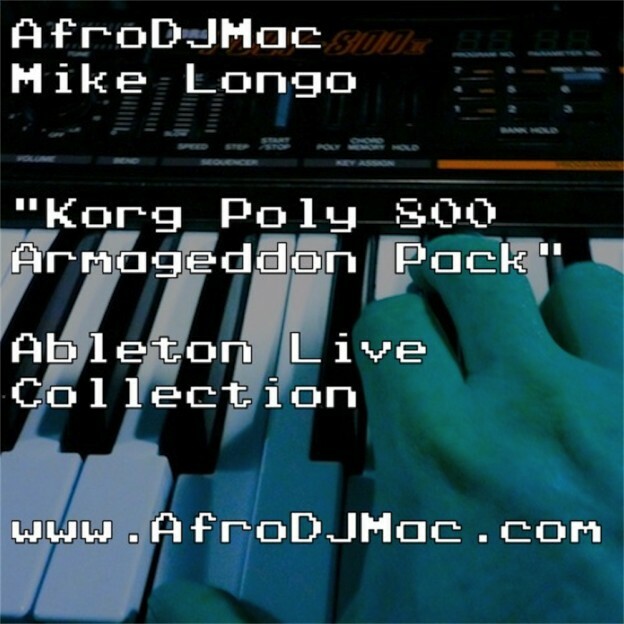 If you are looking for some post apocalyptic sounds, look no further than the Armageddon Pack for Ableton Live! This pack was created with Mike Longo and features some epic sounds for the epic event! Check out the Armageddon EP, made entirely with the Armageddon Ableton Pack!